Bakhtiari, M., Emadi, R., Monshi, A. (2017). Effects of Ferrosilicon Addition and Formation of Insitu SiC Nano-whiskers on MgO-C Refractories. International Journal of Iron & Steel Society of Iran, 14(1), 38-43. M. Bakhtiari; R. Emadi; A. Monshi. "Effects of Ferrosilicon Addition and Formation of Insitu SiC Nano-whiskers on MgO-C Refractories". 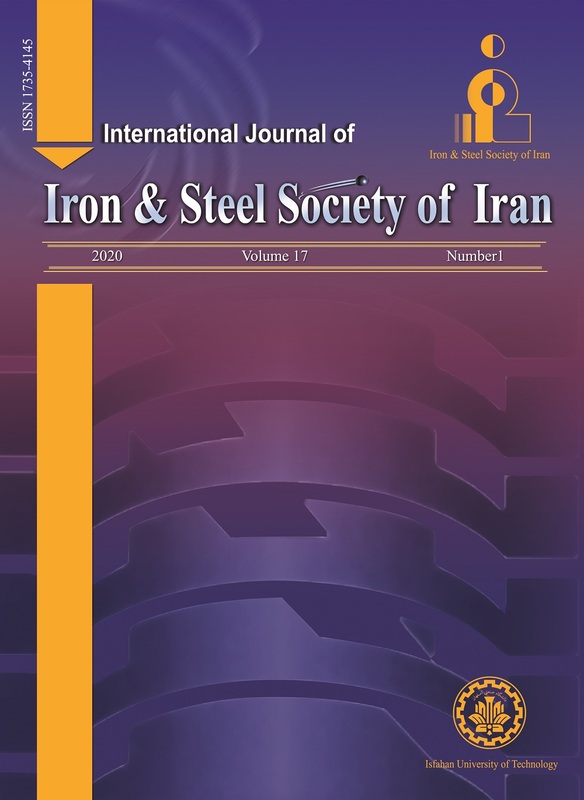 International Journal of Iron & Steel Society of Iran, 14, 1, 2017, 38-43. Bakhtiari, M., Emadi, R., Monshi, A. (2017). 'Effects of Ferrosilicon Addition and Formation of Insitu SiC Nano-whiskers on MgO-C Refractories', International Journal of Iron & Steel Society of Iran, 14(1), pp. 38-43. Bakhtiari, M., Emadi, R., Monshi, A. Effects of Ferrosilicon Addition and Formation of Insitu SiC Nano-whiskers on MgO-C Refractories. International Journal of Iron & Steel Society of Iran, 2017; 14(1): 38-43. Nowadays, SiC is one of the refractory materials which is used widespread because of its unique properties like structural stability in high temperatures. SiC nano whiskers are important in reinforcement of different kinds of composites like ceramic base materials, thanks to their outstanding mechanical, thermal, and chemical properties like low expansion coefficient, high thermal resistant, high elastic coefficient, low density, and high resistant to oxidation. The most important problem of MgO-C refractories is carbon oxidation in high temperatures, resulting in the porosity and loss of strength. Using SiC as an antioxidant in such refractories also improves thebehavior of MgO-C refractories. In this study ferrosilicon has been used to prepare insitu nano SiC whiskers and the effects of insitu SiC nano-whiskers on mechanical, physical and corrosion properties of MgO-C refractories during heat treatment have been investigated. The strength was measured by Cold crushing strength (CCS) according to ASTM C133-97 and Brazilian test. Also, bulk density (BD) and apparent porosity (AP) were studied according to ASTM C-20-92. XRD and SEM have been used to study phase composition and observing the structure, respectively. The results showed that by the formation of these nano-whiskers at high temperatures the strength was increased and corrosion and physical properties have been improved.